Justin Fisher has a lovely wife, a young son, and a successful career as a manager of a luxury hotel, but he’s troubled by the hole in his life left by his absent family. Hardly sure anymore why they became estranged in the first place, Justin gathers the courage to reconnect, only to find that his parents have passed away. And a visit to the cemetery brings the greatest shock of all—next to the graves of his father and mother sits a smaller tombstone for a three-year-old boy: a boy named Justin Fisher. 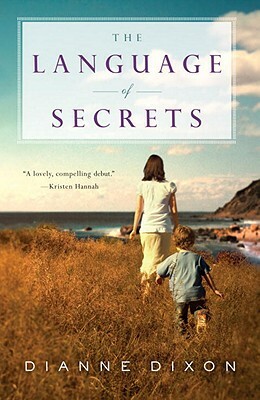 A story of betrayal and forgiveness, as well as one man’s search into a forgotten past, The Language of Secrets is a deeply emotional novel from a fresh and exciting new voice. Dianne Dixon is a screenwriter living in California who has twice been nominated for an Emmy, has won a Humanitas Award for work done in television, and has been Visiting Professor of Creative Writing at Pitzer College, a member of the Claremont Colleges.